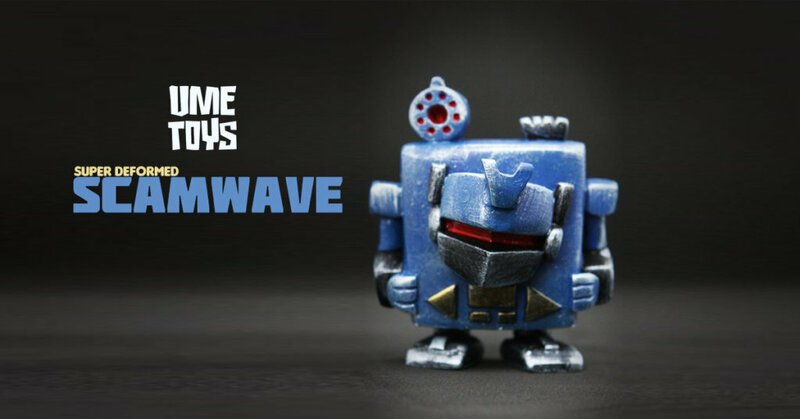 Cast your minds back to 2014 when Richard Page of UME Toys unleashed the OG ScamWave his take on the iconic Decepticon. Fast forward to the present day super deformed ScamWave has been born! Collectors saw the debut at Clutter’s (IN)ACTION FIGURES 7 and now its time for the general release. Lock your Energon Cubes away as SD ScamWave is coming to get’em. ScamWave stands around just under 3 inches tall, made from resin and hand painted he ships in a header carded bag and sticker numbered and signed.